This HS3011 Information Security Assignment Help for breaches of information security have become major issues, which we are seeing the news in these days. Some major breaches of information security were happened in last few years which have become the top headlines of the news. According to Chen et al. (2016), the breaches of information are the release of the security information of any kind of organisation or the popular bodies intentionally or unintentionally. The breaches of information mainly include in disclosure of the information unintentionally, leak of the important data and also the split of the data intentionally or in an unintentional way. The breaches of information can make an effective hamper for an organisation or the popular bodies or the personnel. Here, in this report, the breaches of information security of Yahoo company is analysed for knowing the importance of this news as the case of the information breaches in recent days. The reason behind these breaches of information is also discussed to get detailed information about this case. Furthermore, important remedies are given to prevent these cases as well as to take an action against this incident. As per the news, some civil lawsuits were filed by the clients of the famous search engine in late 2014. This case was filed against this giant company for the reason that 500 million accounts were hacked by the cyber hackers. This incident has become one of the biggest breaches of information security news in this world. According to Wang, Kannan & Ulmer (2013), the breaches of the information security of Yahoo has shaken all the media houses and the other famous organisations of this world. The cyber hackers had stolen all the data of this company, which is contained with the personal information of the famous personnel, governmental bodies, important organisation and the other popular firms in the late of the year 2014. Yahoo has described it as a state sponsored actor, who has stolen data from 500 million accounts of the users of Yahoo search engine. Beside this, the hackers have stolen important telephone numbers, date of births of the persons and hashed password as well as in some cases the encrypted or unencrypted security questions and the answers. Bob Lord, the chief information security officer of Yahoo noticed that the data about the users as well as the information about the credit cards and the bank details are not appeared properly. However, the chief information security officer said that the information of the users is kept in another store separately. The data was stolen in the late 2014 but the company is unaware about the exact time of the breaches of the information security of the users of this company. On the other side, the famous newspaper the Wall Street Journal has disclosed the information about the breaches of the data security after two months of the disclosure of the news by Yahoo. However, this company did not get any evidence about the suspected person or any organisation, who have stolen the information about the user’s accounts of Yahoo. This news is selected for the justification of the breaches of the information security because this news is one of the most shocking and popular headlines of every new organisation and media houses. In this information security breaches, the information of the famous organisations, popular personalities and the details of the user’s accounts of the whole world are hacked by the hackers. As per the opinion of Chou (2013), the breaches of information security of Yahoo Company is an important subject content for this case. Tang (2013) stated that as a most powerful tech company, the breaches of the information security of Yahoo have alerted the others about the breaches of the information security around the whole world. This news was an important one and it was related with the security of the popular personals, as well as the popular organisations and the others, who use the yahoo accounts of this report. As per the recent investigation, this is confirmed that the user information was stolen from the network of the company’s profile. The information was stolen about the personal information about the famous persons, important telephone numbers, email addresses, as well as the date of births of the users of yahoo and hashed password of the accounts of the users. The hackers have also stolen the information about the encrypted and unencrypted security questions and answers in the accounts of this famous search engine organisation (Siliconbeat.com. 2016). However, the chief information security officer has noted that the stolen information did not include the unprotected passwords of the accounts of the users, data of the payment cards information about the bank account and the other information. This news has created a trauma among the users of the yahoo account users and they are shocked by this incident. So, this news has a great importance as the breaches of information security subject content for this report. The hackers hack the information from the weak or insecure sites of the organisation. From the last few years, the experts of the cyber security have warned the users to secure their credential information to restrict the breaches of the information of the organisation. But, this is still a big problem all over the world (Money.cnn.com. 2016). The hackers all over the world mainly use five methods of hacking system for hacking the important information of the firm or the company. The security teams have to use the important tools to secure the important and confidential information of the company as well as to prevent the breaches of information. Some hacking of the confidential information happens to get the personal profits. The hackers hack the important information for getting the huge money from against party. According to Ilyas (2015), some organisation or any person can leak the information data of the other part for the personal attack. In most cases, an organisation leak information against the other organisation or a person leak the confidential information of the other person to break the image of the organisation in front of the others. In the case of the breaches of information of security of Yahoo Company, the cyber security officers did not get any kind of evidence of the reason behind this. The chief information security officer has stated that this action is created by a state-sponsored actor. However, the officer did not take the name of any suspected country. As this is a cyber attack, the computer security experts have stated that some section of the yahoo company is not secured with the strong security system. The unsecured section of the information may be the reason of the breaches of information of this giant tech company (Money.cnn.com. 2016). For the incidents of the breaches of information of the giant tech company yahoo, the reputation of this organisation has damaged so much. Most of the investors and the users of this company faced the damage for the breaches of the information very badly. The information security officers of this company have worried the losses of the confidential information of the important personal and professional. This is so much hampering for the reputation as well as the business of this search company. According to Matt Blaze, the range of the breaches of the information of Yahoo Company is equivalent of the ecological disaster (Siliconbeat.com. 2016). This data breaches has also become the big threat for the other big companies and it has raised the questions on the securities of the accounts of the users of the companies. The old users of the Yahoo Company have closed their accounts and the new users are not showing any kind of interest to create any account on this company. Meanwhile, the users of the Yahoo recycle their password but it may still a risk for the users to create their account at Yahoo (Marketwatch.com. 2016). Every company should protect their sensitive information through the password ir any kind security actions (Marketwatch.com. 2016). The authorities of any organisation should reduce the transfer of the important data with each other. The users should restrict themselves from downloading the unethical things through which the hackers can hack the credential information of the organisation network(Siliconbeat.com. 2016). After analysing the news of the breaches of information of security of Yahoo Company, this is clear that this incident is an important subject content for analysing this as the breaches of the information security. This is also cleared that this news has shocked the users and created a threat for the almost every company of this world. However, the reason behind this hacking did not disclosed till now. The organisation has to take some important preventive measures for tackling the threats of the cyber hacking very effectively. Chen, Y., Dong, F., Chen, H., & Xu, L. (2016, August). Can Cross-Listing Mitigate the Impact of an Information Security Breach Announcement on a Firm's Values?. In IOP Conference Series: Materials Science and Engineering (Vol. 142, No. 1, p. 012133). IOP Publishing. Chou, T. S. (2013). Security threats on cloud computing vulnerabilities. International Journal of Computer Science & Information Technology, 5(3), 79. Ilyas, M. M. (2015). CYBER SECURITY. Imboden, T. R., Phillips, J. N., Seib, J. D., & Fiorentino, S. R. (2013). 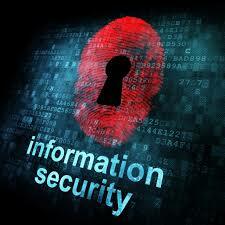 How are NonprofitOrganizations Influenced to Create and Adopt Information Security Policies?. Issues in Information Systems, 14(2), 166-173.